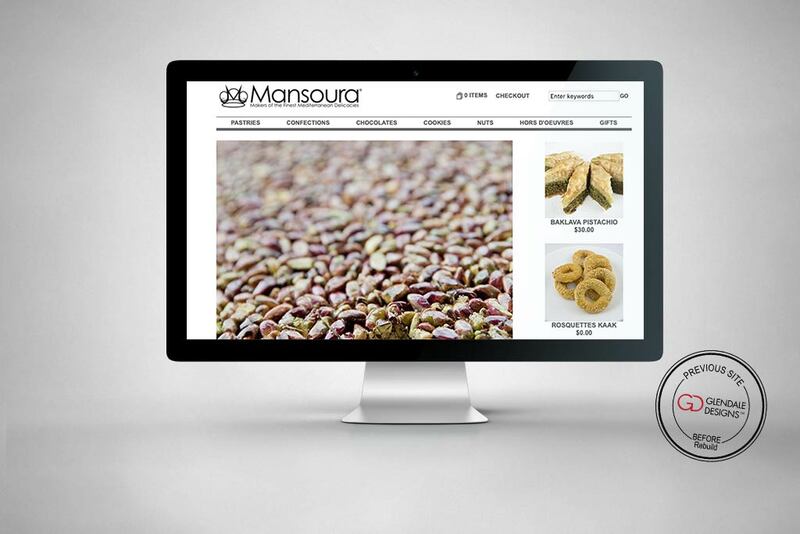 Mansoura was looking to revamp their outdated site so it would appeal to a larger range of shoppers. Their current site wasn’t responsive and didn’t comply with current https requirements. 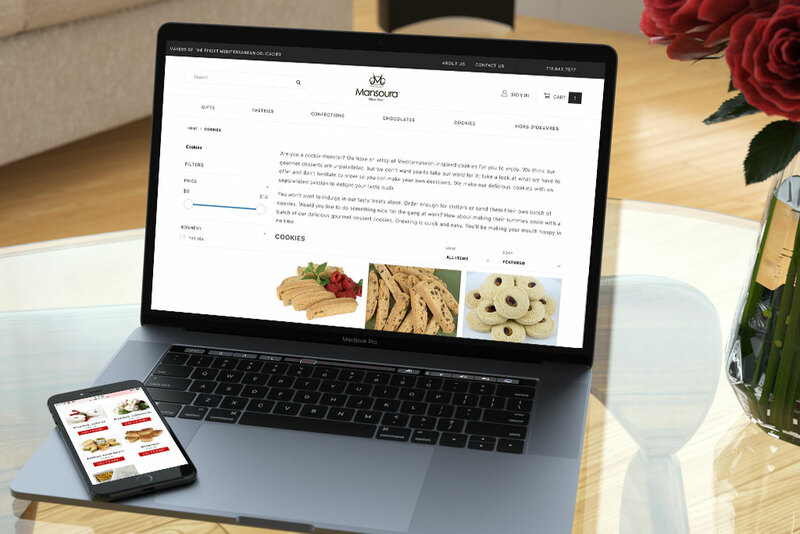 The site used an older theme with outdated modules which limited functionality and the search feature was limited and made it difficult for shoppers to find and filter through products. Mansoura’s site was converted to full https and updated to the new Miva Shadows ReadyTheme. 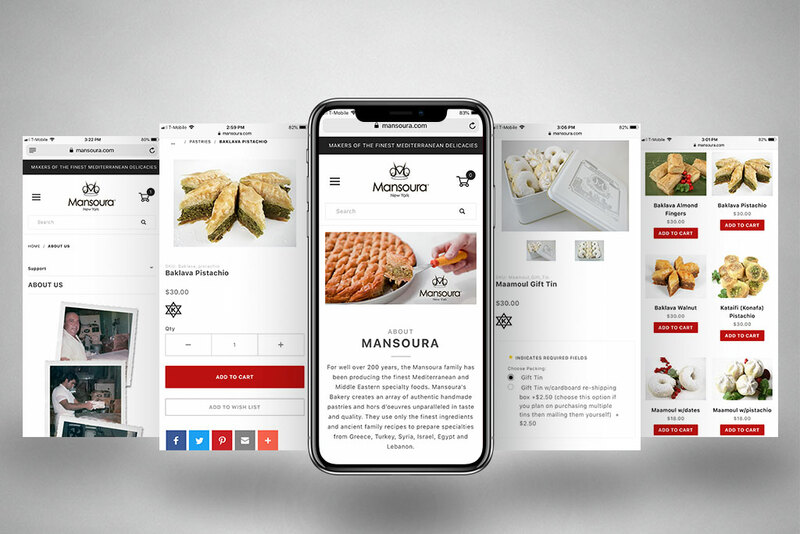 The new fully responsive eCommerce site allows Mansoura to take advantage of the mobile shopping market on any device. 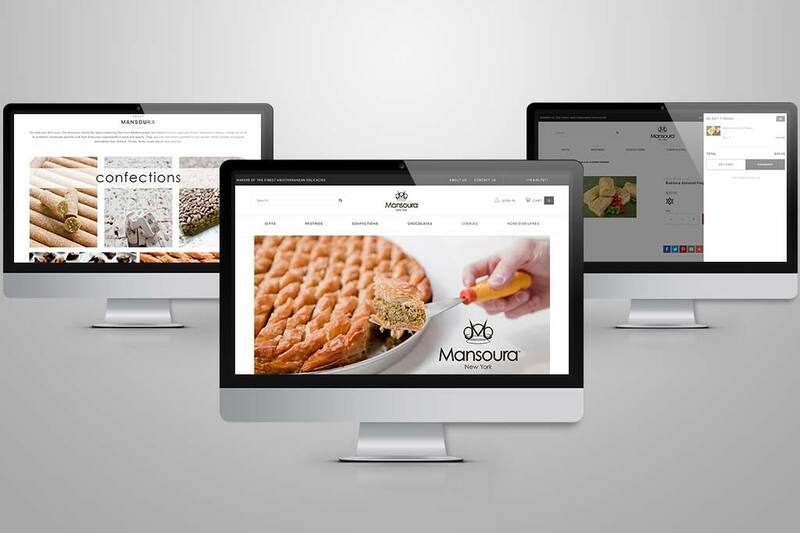 An updated homepage features larger photos that welcomes the customer to shop Mansoura’s delicacies. 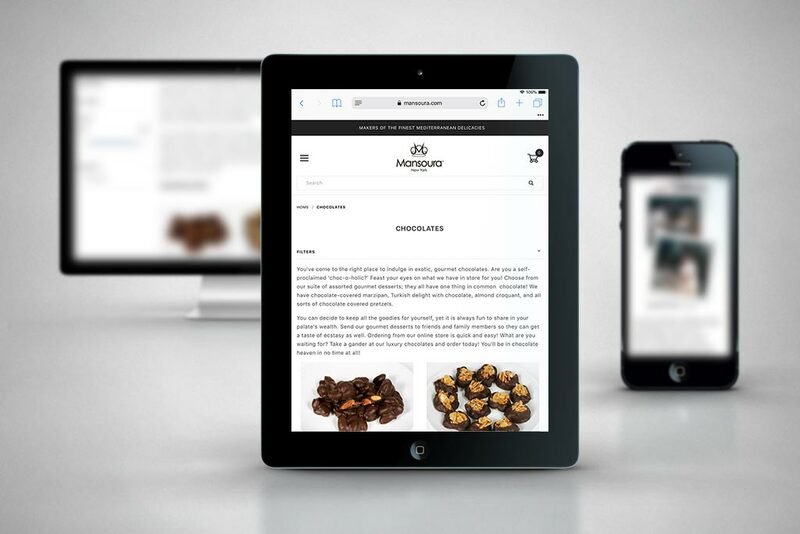 The cleaner navigation on the homepage, navigation bar, and footer helps the customer quickly navigate and browse the new site. 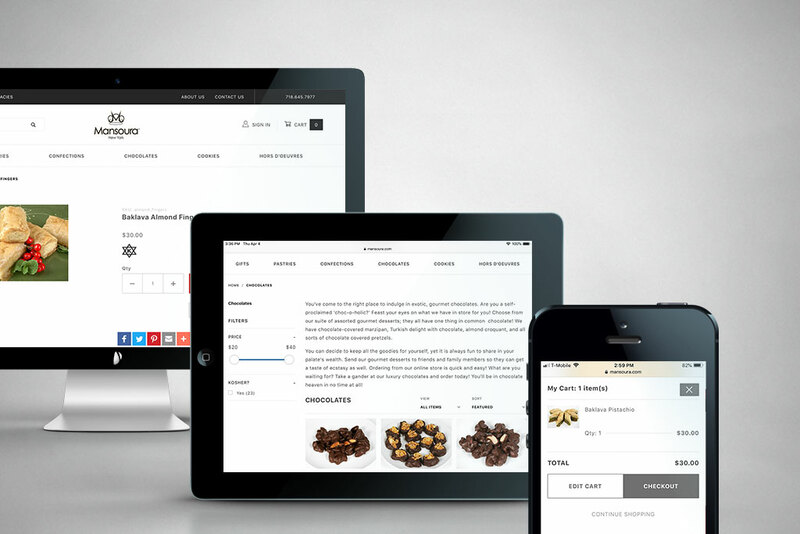 Product pages were also updated giving the site an overall clean and modern appearance. Old modules were either removed or updated to newer versions reducing lag time and updating functionality. Products, images, and customers were transferred over so the store owner could start working on the new site as soon as it was live. 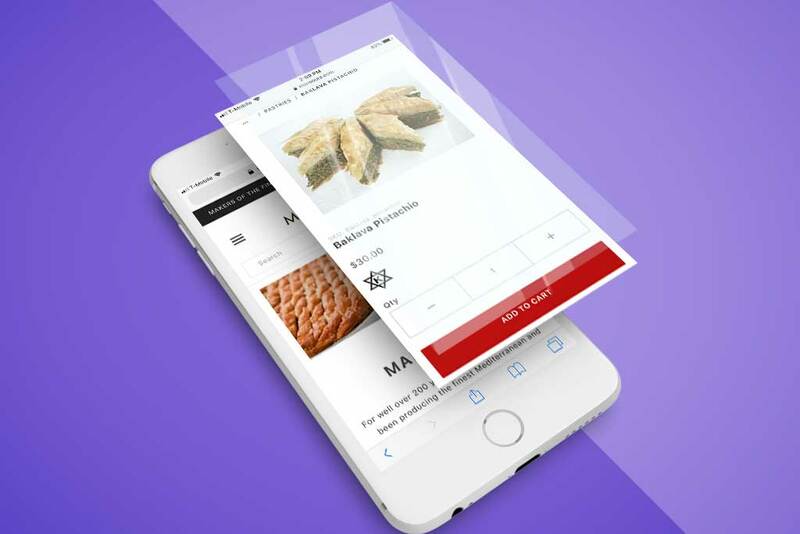 Product facets and a synonym custom field were added for easier searching. Social sharing buttons were added to product pages and mailchimp integration and sign-up were added in the footer and checkout page. Fraud prevention tools were updated as well as the payment and shipping settings. A gift message option was added during the checkout to collect special messages for gift recipients. As with all our Glendale designed sites, the project was completed with updates to bug fixes and quality testing prior to launch to ensure a smooth and seamless transition for our clients. Contact us to let us help you as well.